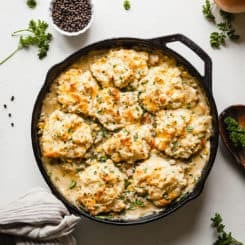 This recipe for Biscuit Topped Vegetarian Pot Pie has been sponsored by Cans Get You Cooking. All thoughts and opinions are my own. 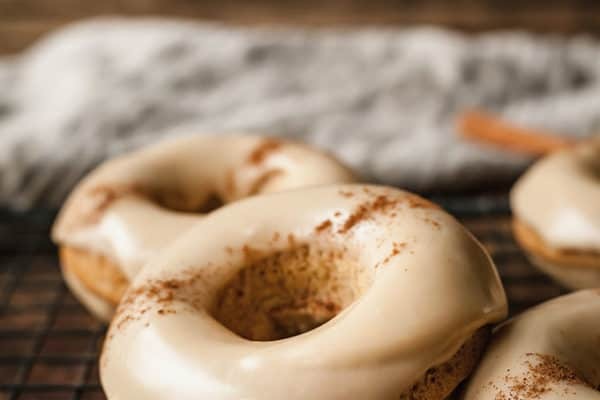 We’re heading into comfort food season! 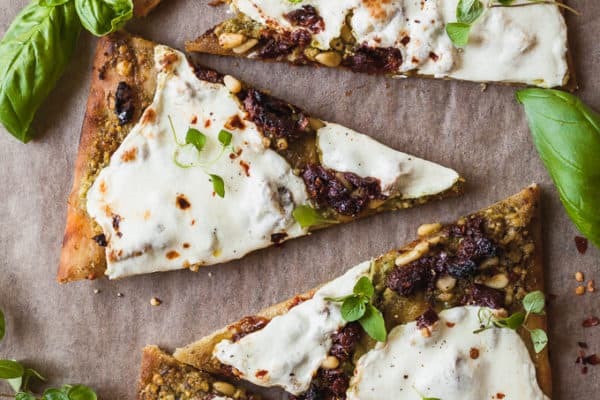 This Pesto Flatbread Pizza is fast, easy, and loaded with savory flavors! How Summer Are You? : A Quiz. 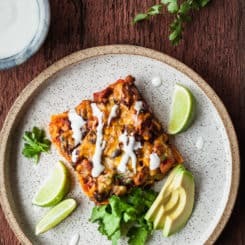 Stacked Veggie Enchiladas are an easy way to enjoy this vegetarian favorite! I was a very picky eater when I was a kid. 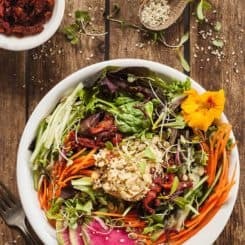 This High Protein Fresh Vegan Salad with Hummus is guaranteed to fill you up and leave boring salads behind! I am completely obsessed with how beautiful this salad is. 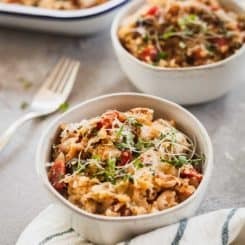 Italian Quinoa Casserole is a comforting vegetarian casserole that’s full of protein and vegetables! Crispy, cheesy quinoa might be my best friend. 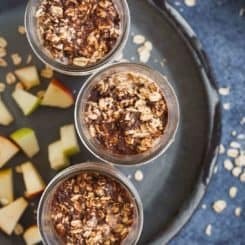 This recipe for Apple Spice Overnight Oats is sponsored by Kemps. As always, all thoughts and opinions are my own. 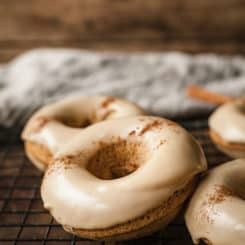 Spiced apples for breakfast? 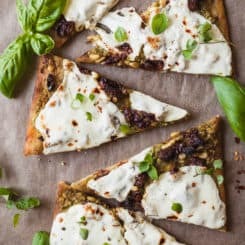 Ummm, yes please. 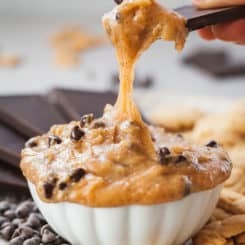 This Vegan Cookie Dough Dip for Two is a naturally sweetened, healthier version of cookie dough dip! Cookie dough DIP. 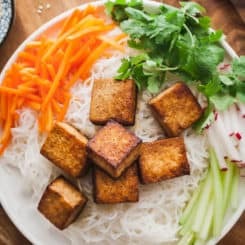 That’s vegan. Let’s do this! 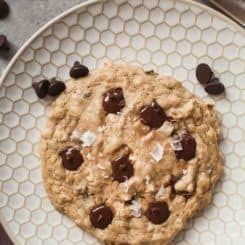 This recipe for a Vegan Chocolate Chip Cookie for One is sponsored by Skinny Sticks Pure Maple Syrup. 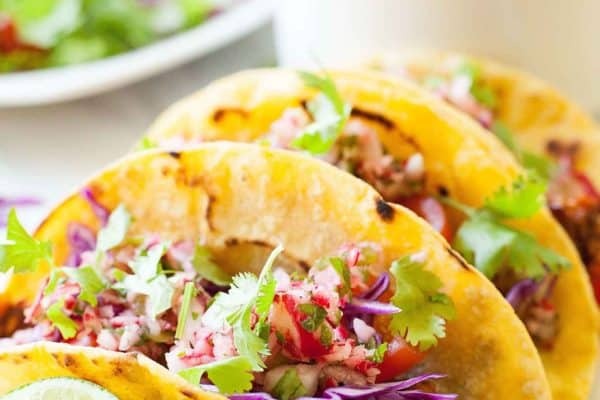 Visit their Facebook page for more delicious recipes and updates. Thank you for supporting brands who support The Live-In Kitchen, and as always, all opinions are my own. Say hello to my newest obsession.